Are Citigroup and Bank of America Going To Be Nationalized? Are BAC and C Going To Be Nationalized? 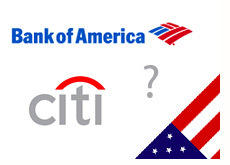 Will the United States government end up nationalizing Bank of America and Citigroup? This idea, which would have seemed completely unbelievable just a few months ago, seems to be gaining some traction. Let's state right up front - both of these banks are insolvent. Neither of these banks will pass the upcoming "stress tests" that the U.S. Treasury is going to subject banks with assets of over $100 billion dollars to, and both banks will require substantial capital injections to remain in operation. Nationalization is starting to be accepted as an option by a number of politicians, the most recent being Senator Lindsey Graham of South Carolina. Graham, a Republican, said that nationalization is an "option" when it comes to dealing with "zombie" banks. He warned of following the continued capitalization approached that "almost ruined Japan". Alan Greenspan also spoke out earlier this week, saying that the government should consider "wholesale bank nationalization", calling it the "least bad solution". I've seen articles on Foxnews, CNBC and Marketwatch.com over the past few days that have all discussed the possibility of bank nationalization, and the possible benefits of such a plan. 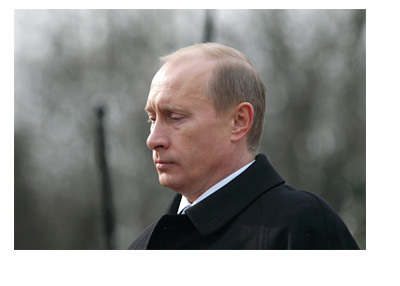 Is nationalization a foregone conclusion at this point? If the nationalization of banking institutions such as Citigroup and Bank of America occurs, will there be a "run on the bank" at other firms such as JP Morgan and Wells Fargo? Is the government preparing the American public (through the media) for the inevitability of major US banking institutions being nationalized? In my opinion, we are certainly headed towards the nationalization of some of our largest banking institutions in the United States.